Couch Brick Pavers focuses on perfection. We are dedicated to premium products crafted to be part of a beautiful home. The wide range of hues, textures, and shapes offers you limitless possibilities for transforming pool decks into distinctive personal statements. Pavers are the result of combining natural elements native to your region with a manufacturing process, leaving you with uncommon, yet remarkable results. 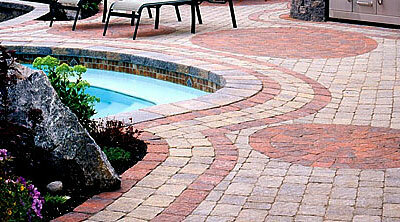 Couch Brick Pavers transforms backyard swimming pools into an inviting oasis that's truly a delight for the senses. We provide you with the ability to create a one-of-a-kind work of remarkable lasting beauty for your pool deck. 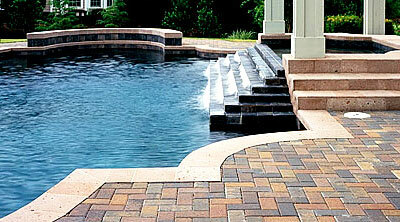 Due to modern manufacturing techniques giving pool deck pavers unsurpassed beauty, strength, durability and now affordability, they have become the number one choice for those upgrading or building swimming pool decks with the finest in materials and aesthetics. Pool decks are a great way to enjoy outdoor living and relaxation. Through industry experience, customer understanding, and employee dedication, our family owned and operated business consistently provides the best customer service. Whether you have a need for practicality, functionality, or simply a wish list, our team of dedicated brick pavers professionals have innovative design ideas and solutions to capture your home's unique character and reflect your individual lifestyle. Since 1976, no detail escapes our notice. 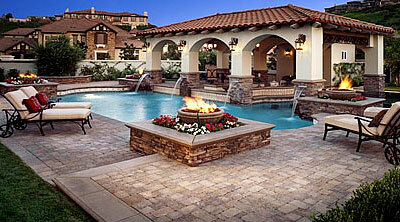 Not only does Couch Brick Pavers design new pool decks, but we also remodel pool decks as well. Their are many colors, shapes, and sizes that you can combine to create the perfect and ideal pool deck. We have great materials and pavers from companies such as; Belgard, Tremron, Olympic, Brick America, Flagstone Pavers, and more. Searching for the perfect weekend trip or even an everyday getaway could be difficult; it might surprise you, but you could find it quietly hiding in the comfort and practicality of your own backyard. But, not only will Couch Brick Pavers install pool decks for home owners, we also install pool decks for commercial properties. Choosing the right company to create an astonishing pool deck is critical to achieving the right results. Our clients have done a lot of research before hiring us, and we like to think that's why Couch Brick Pavers is chosen more often than not.